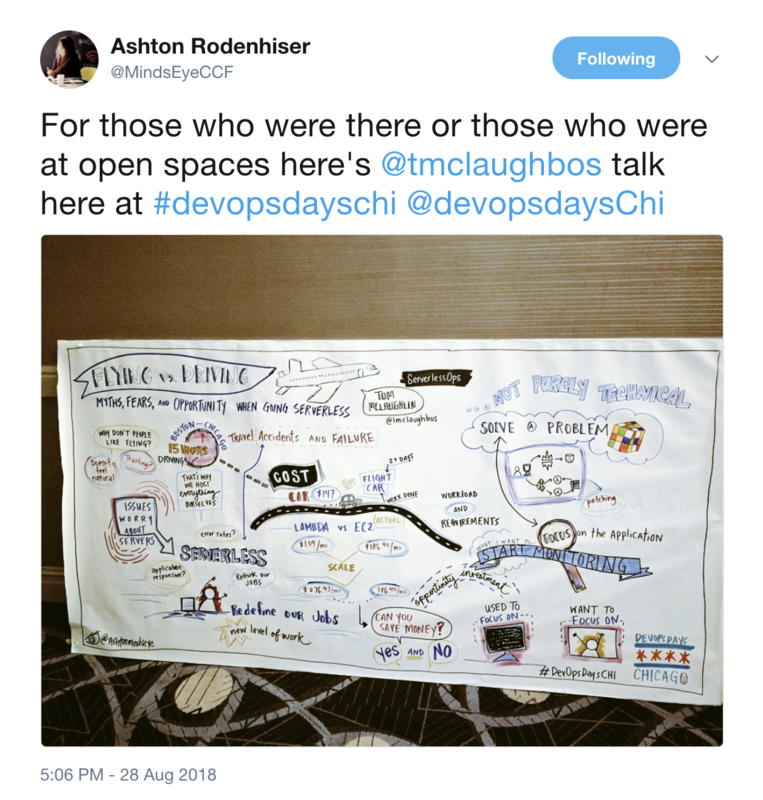 Excited to announce our USENIX LISA keynote appearance, the release of DORA's State Of DevOps for 2018, and some pics from DevOpsDays Chicago! I can finally discuss this publicly! I've been asked to deliver a closing keynote at USENIX LISA this year on serverless and it's effects on the future of operations and the sysadmin profession. I started this company to make operations people successful and humbled to be chosen to talk to my peers about the intersection of a technology and a profession that I both love and enjoy. Have you read Accelerate: State of DevOps 2018 yet? You should. 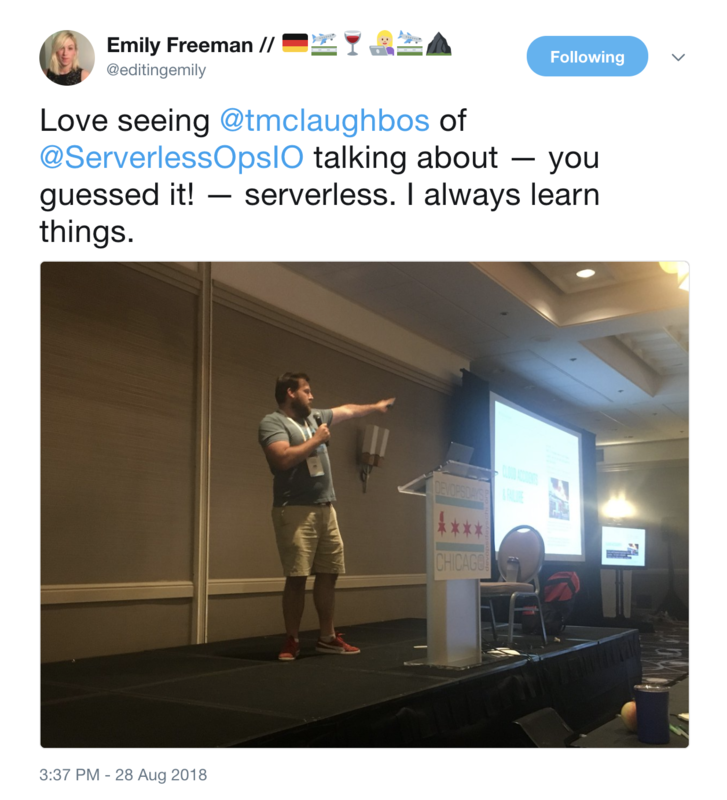 what does it have to do with serverless? Nothing... And everything. If you're organization is not adopting serverless as a means of increased productivity and efficiency then why are you adopting it? You may read the report and wonder why we're promoting research with such a negative view of outsourcing. It's because we don't consider ourselves outsourcing. ServerlessOps isn't here to takeover a key area of your engineering organization. We're here to help you with the people, process, and tools to improve. This is where we see our differentiator. To us, serverless is only a means of achieving organizational improvement through increased focus on what makes an organization unique. 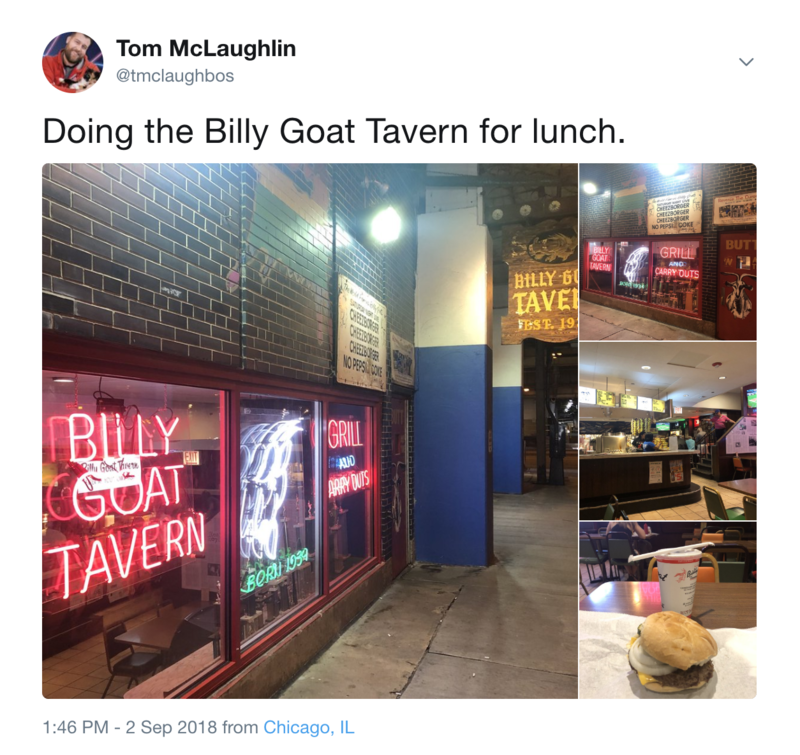 Last week were were at DevOpsDays Chicago which was an absolute blast! We even stayed a few days afterwards to enjoy the city. Here's some highlights as documented on social media. Practical advice for tuning function timeouts on AWS Lambda. The good folks at Stelligent discussed the security implications of serverless. And having PureSec on as their guest was a wise choice. An intro to what you should be measuring with your serverless API on AWS. Why build your own HTTP basic auth authorizer service for API Gateway when Dougal Ballantyne of AWS already did for you? This may seem small, but reusable and deployable code and infrastructure is what will make serverless ground breaking. AWS Serverless Application Repository is something we're placing a long bet on being important in the future. We like YAMLneering... But it's not for everyone and that's fine. For those that want more code and less YAML, AWS has released a developer preview of their new CDK. So much has happened in serverless that AWS is just getting around to writing about everything they did in Q2 of this year. We can't wait for the Q3 wrap up to be released in early 2019. Jerry Hargrove released new diagrams for a few AWS services. They're both informative AND beautiful. When you have lots of data, Kinesis becomes a fit. Here's some lessons learned in using it by IOpipe.